The Legend of Zelda Twitter campaign forMiitomo in-app gifts: Miitomousers should check @NintendoAmerica on Twitter today for a special tweet kicking off a collaboration between the mobile app and the Legend of Zelda franchise. If the tweet gets a combined 10,000 retweets worldwide, Nintendo will issue a “Link’s new hair wig” as an in-app gift to all users of Nintendo’sMiitomo mobile app. If it gets 20,000 combined retweets, Nintendo will give all Miitomo users a “Link wig” in the Miitomo app. More of The Legend of Zelda in Miitomo: Miitomo will continue its celebration of The Legend of Zelda with a themed Miitomo Drop game that will give players the chance to win The Legend of Zelda-themed in-app gear for their Mii character. Players will also be able to use Miitomo coins inMiitomo to purchase The Legend of Zelda collaboration items. 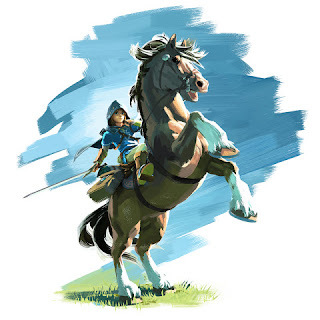 An additional The Legend of Zeldacollaboration gift will be available on the My Nintendo website, and players can exchange their My Nintendo Platinum Points for this item. Nintendo Treehouse: Live – Day 1: Nintendo’s kickoff to the E3 trade show begins at 9 a.m. PT, with an introduction by Nintendo of America President and COO Reggie Fils-Aime and the world’s first look at live gameplay of The Legend of Zelda game for the Wii U console. Viewers can also catch the first live gameplay of the Pokémon Sun and Pokémon Moon games. Watch Nintendo Treehouse: Live via Nintendo’s channels on YouTube and Twitch, as well as on http://e3.nintendo.com. Nintendo eShop sale: Starting at 11 a.m. PT until 8:59 a.m. PT on June 21, Nintendo is offering discounts on some of its most popular games as a special treat for fans. My Nintendo members who are signed in will also get a special bonus if they buy select games included in the sale. Anyone who hasn’t signed up for My Nintendo yet is encouraged to do so now to avoid the E3 rush. To get the extra discount, My Nintendo members must link their Nintendo Account to their Nintendo Network ID and access Nintendo eShop on their device at least once before they make a purchase. The discounted games can be purchased in Nintendo eShop or at http://e3.nintendo.com. Details about the discounts can also be found at http://e3.nintendo.com. Nintendo Treehouse: Live – Day 2: Starting at 10 a.m. PT, the Nintendo Treehouse: Live programming will showcase upcoming Wii U and Nintendo 3DS games, including Monster Hunter Generations from Capcom, Dragon Quest VII: Fragments of the Forgotten Past and Tokyo Mirage Sessions #FE. The day will start with a special Pokémon GO developer Q&A. Watch all of Nintendo’s action from the E3 show floor via Nintendo’s channels on YouTube and Twitch, as well as on http://e3.nintendo.com. For more information about Nintendo’s activities at E3, visit http://e3.nintendo.com.